IDIOT- 1. an utterly foolish or senseless person. 2. a fool, half-wit; imbecile; dolt, dun: JACKASS Bill Maher to Maddow on the GOP: 'I Hate Them as Much as You Do.' 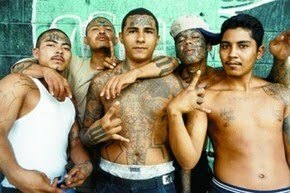 Supports Taxpayer Funded Gang Member Tattoo Removal As 'Investment' WTF?!? JACKASS Bill Maher to Maddow on the GOP: 'I Hate Them as Much as You Do.' Supports Taxpayer Funded Gang Member Tattoo Removal As 'Investment' WTF?!? Bill Maher Tuesday made a statement on MSNBC that would be truly embarrassing for the so-called news network if any of its executives cared at all about being an impartial disseminator of information. It's no wonder Maher wants to legalize drugs, he's always under the influence of them when he opens his mouth to give his idiotic opinions. Why stop at tattoo removal? Maher (and Maddow) must also want YOU, the hard-working, law-abiding, taxpaying, producer of society, to pay for the gang members suit for their job interview, a new car to get to their new job interview, fuel for that vehicle to go back and forth to that job IF they are hired and what the hell, let's throw in a new home and free health care! They need a place to live right? Electric, water, cable, Ipads and free college tuition too right? This is the liberal mindset. It's why we are 14 trillion in debt AND growing! If the pathetic MSNBC would just lose Bill Maher and Al Sharpton alone, they would decrease their ignorant guest pool by 50% and maybe even increase their ratings. Most people change jobs at some stage of their career. Those who identify the factors that they disliked in their existing job and actively strive towards targeting job openings that match their job expectations, while at the same time adopting an employer-centric approach, stand a greater chance of landing a better job and making their job change initiative a success.